Come to a special church service to worship the Lord and give thanks for all He has done for us on Tuesday, November 20 at 7:00 pm. We have much to be thankful for. A pie social will follow in the South Life Center. 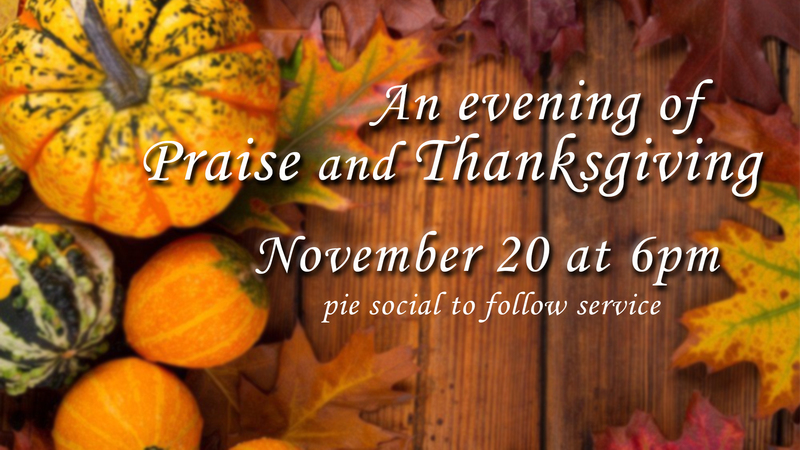 Please bring a pie of your choice and deliver it to the kitchen prior to the service.